Outstanding handling. Easy to drive everyday. 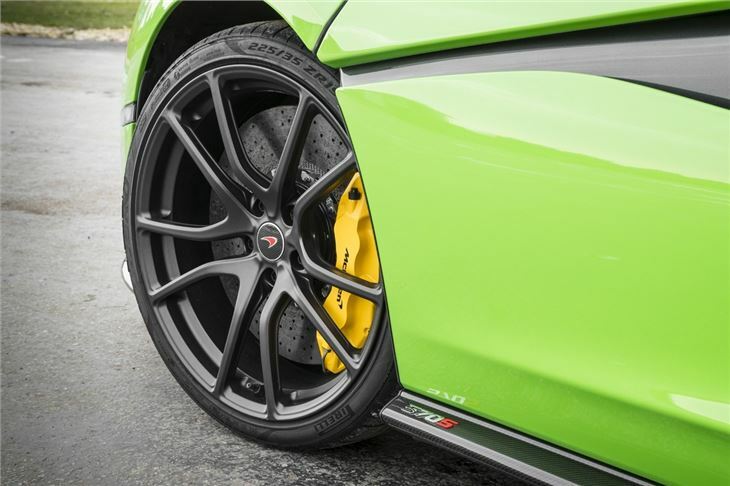 Exotic styling makes it stand out from the supercar crowd. Interior isn't as good as rivals. Engine note comparatively quiet. Difficult to get in and out of. Report of body corrosion. Report of severe corrosion on several body panels of McLaren 570S. Dealer told owner that several other McLarens are affected and that it will take 2-3 months to resolve. No courtesy car offered. 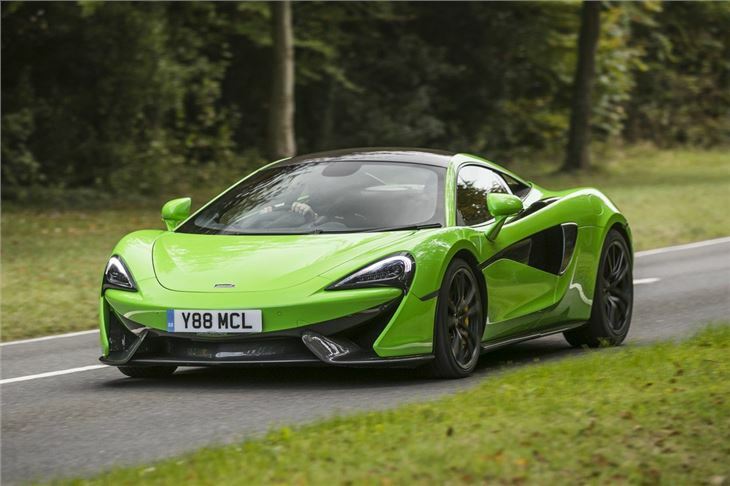 Described by McLaren as a ‘usable daily driver’, the 570S is anything but dull, with its 3.8-litre twin turbocharged V8 creating a head thumping 570PS. As a result, it will cover 0-62mph in just 3.2 seconds, while 0-100mph acceleration is rated at 6.3 seconds - a figure that equals the legendary McLaren F1 road car from the 1990s. Over the past 30 years McLaren's F1 team has has pioneered the use of carbon fibre and, as you might expect, the 570S is full of the stuff. This means the chassis is strong, rigid and incredibly lightweight. 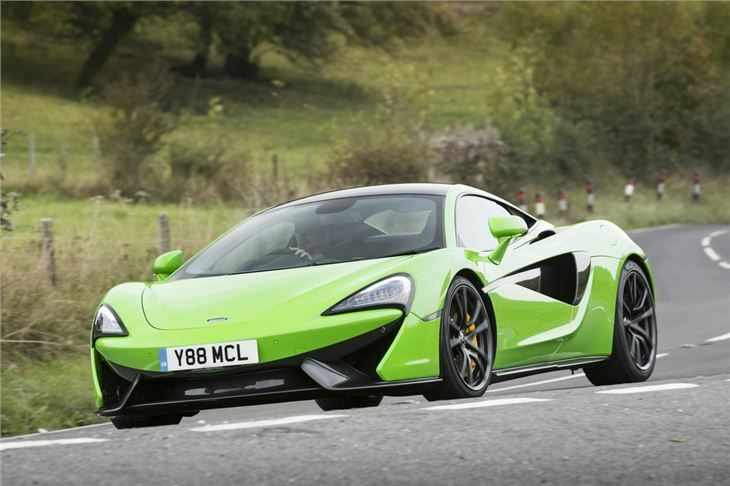 In fact, the 570S weighs in at just 1,313kg, which is 282kg less than the Audi R8. Despite the F1-bred race tech, the 570S doesn’t feel like a tooth rattling, backbreaking, track car. Far from it. 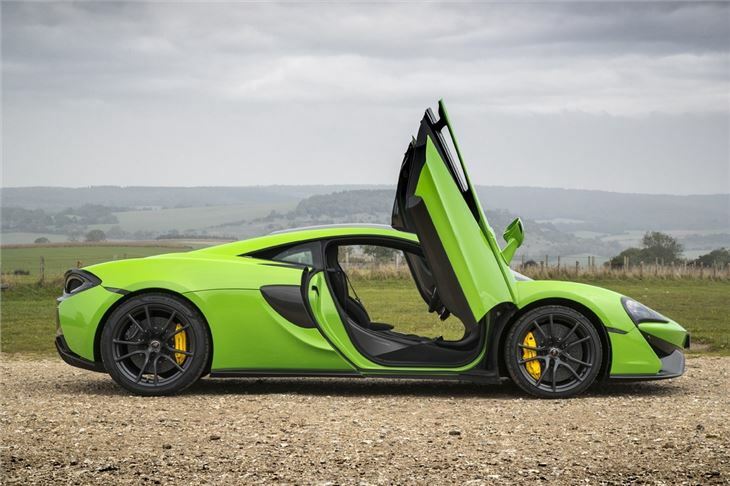 McLaren has put considerable effort into making its supercar as driver friendly as possible, which means it is comfortable, calm and a realistic every day car. 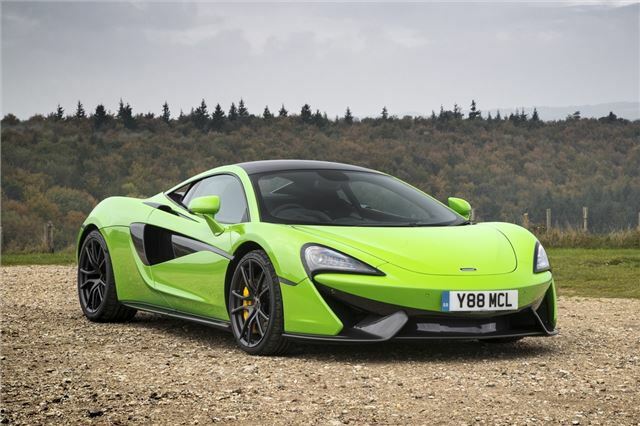 Obviously, with 570PS packed away behind the driver, the 570S has incredible performance at its disposal. Thump the throttle and it will pick-up momentum instantly, while the automatic gearbox does a fine job of distributing the power. The handling is excellent too, with pinpoint steering and lots of feedback through the compact race wheel. Grip levels are staggeringly high, which is impressive when you factor in the rear-wheel drive setup and lack of a limited slip differential. 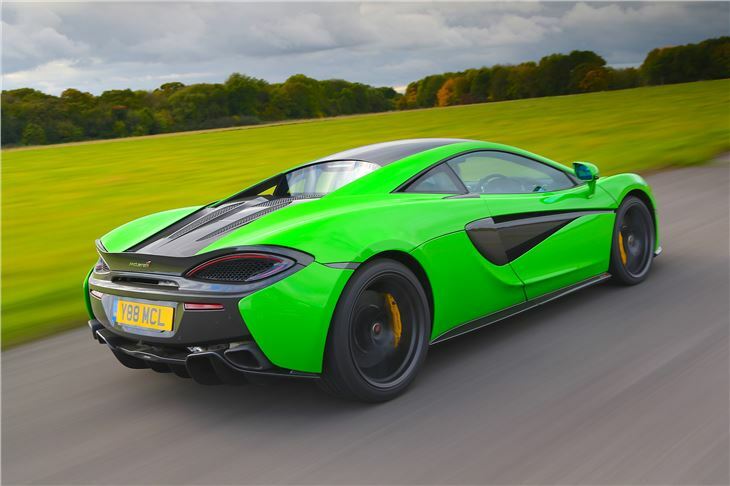 As fast as it is, the 570S rarely feels as quick as the 911 Turbo in a straight line. It’s twin-turbo V8 also lacks the aural delights of the R8’s V10. That said, this is still one of McLaren’s most accomplished supercars and it’s difficult not to be charmed by the 570S’ striking good looks and brilliant handling.